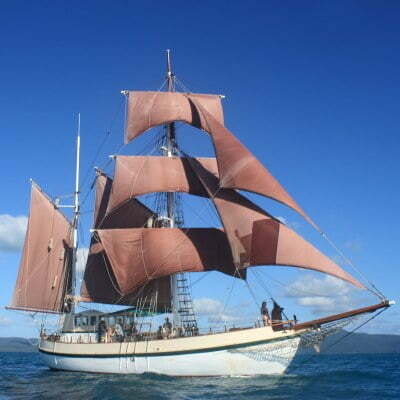 The tall ship Coral Trekker is a 23-metre, square-rigged, wooden tall ship with distinctive rusty red sails. 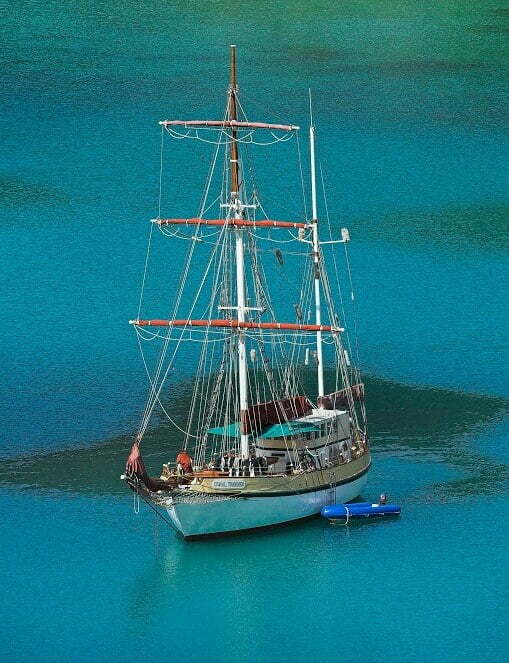 Originally named HOHO 2, she was built in Norway in 1939, her hull constructed from Baltic Pine. 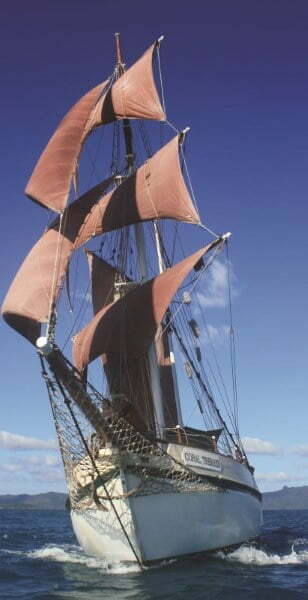 Since then, this magnificent and luxurious 75ft long tall ship has spent her time sailing the world before making the lengthy voyage to Australia in 1988 where she was eventually renamed Coral Trekker. 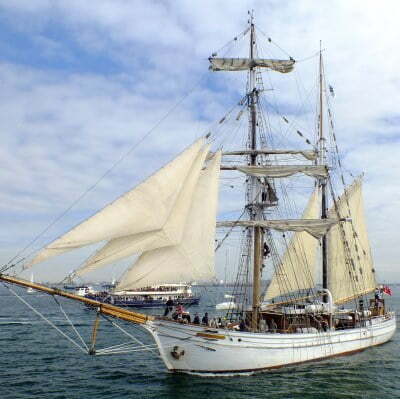 Having rounded Cape Horn twice, this traditional sailing ship displays a unique and interesting character. 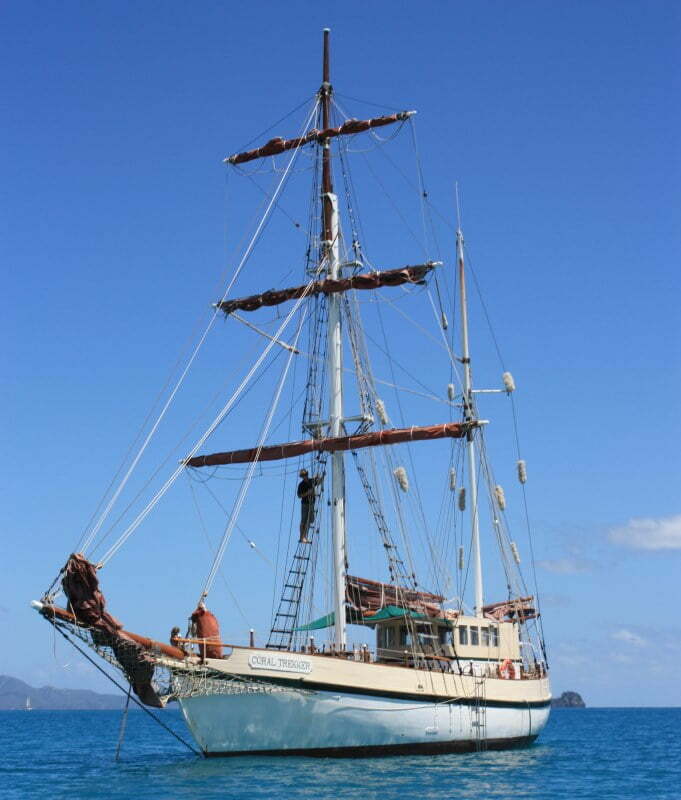 In 2002, the Coral Trekker underwent a $580,000 refurbishment for her new life sailing Australia’s tropical Whitsunday Islands, providing ‘comfort-adventure’ short stay cruises. 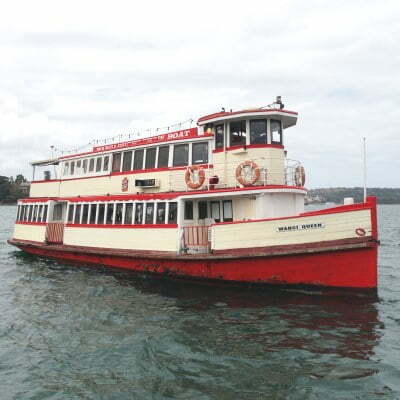 She has since won many state and regional tourism awards including the 2005 National Tourism Award for Unique Accommodation! 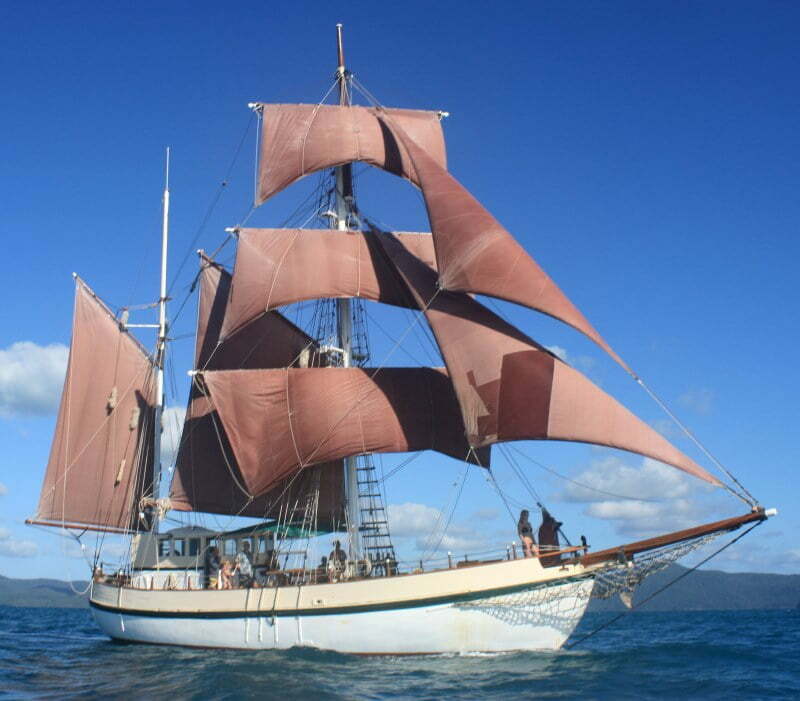 With topsail, t’gallants and yardarms, experience the old world charm and romance of yesteryear aboard the Coral Trekker in the vibrant and adventurous tropical Whitsundays. 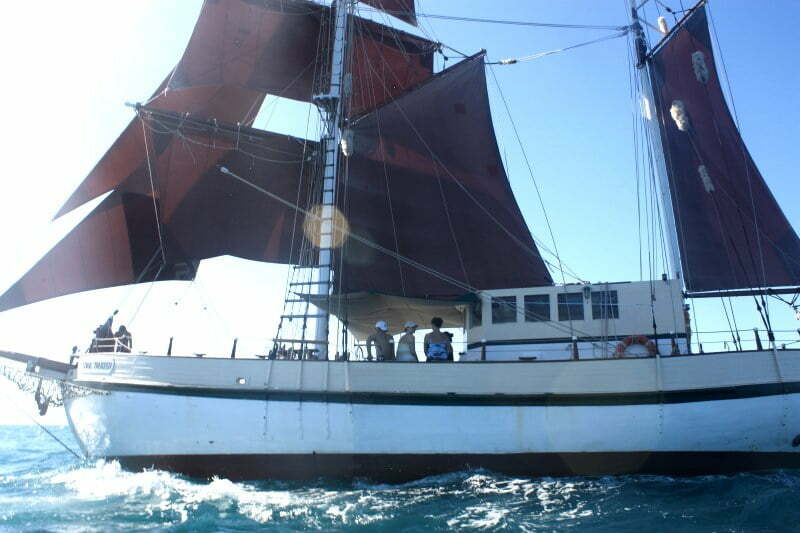 Accommodates 36 passengers for daytime cruises; sleeps 12 guests overnight. 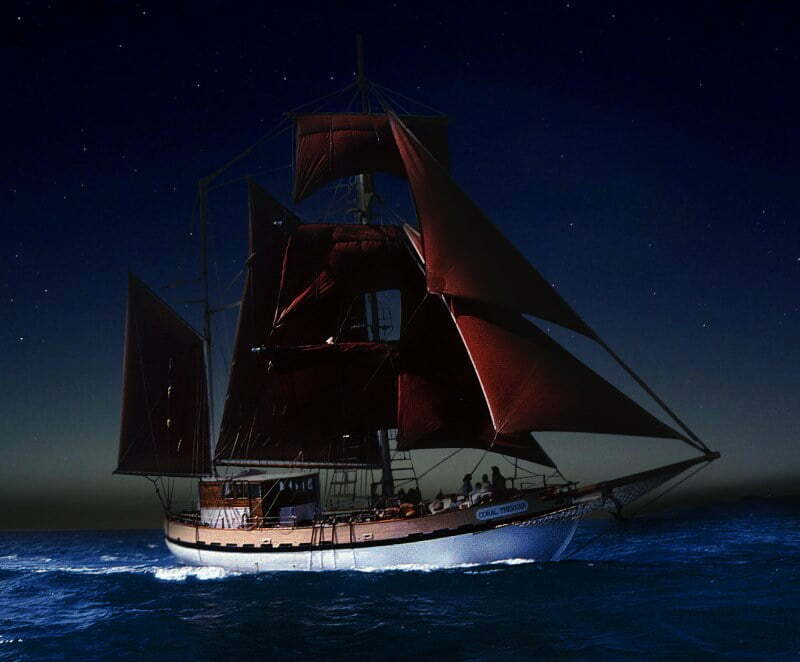 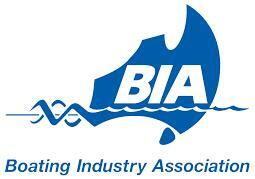 Sign up for an ocean sailing adventure! 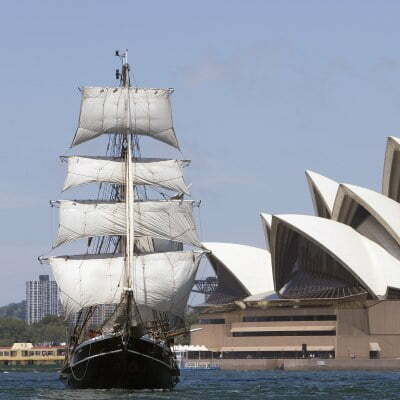 From time-to-time Coral Trekker sails beyond Sydney and this is your chance to fully immerse yourself in ocean sailing at its finest.